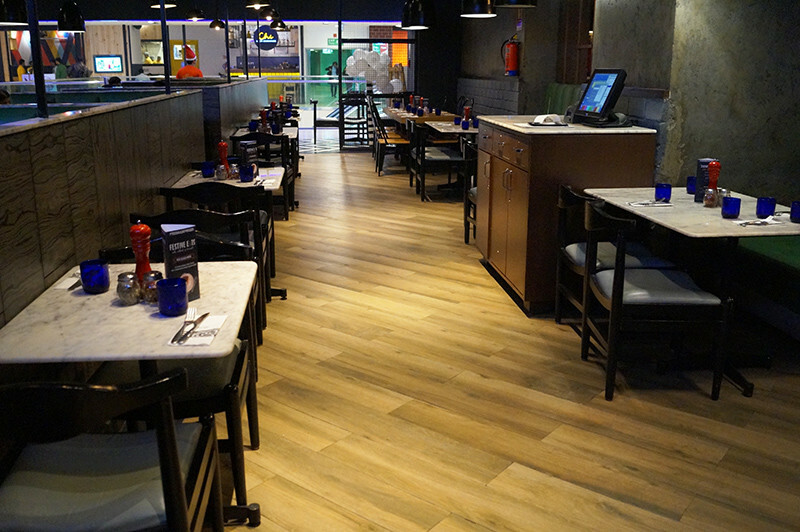 Positioned on the 3rd floor of DLF Mall of India in the heart of Noida, stands tall this chain pizzeria going by the name of Pizza Express. Their passion for Italian food can be traced back to 1965, when its first restaurant was opened in London on Wardour Street. They&apos;ve been growing since then and bringing joy to everyone! Their rich history and our love for pizza guided our way to this joint. The layout of this place is brilliant! It has a large floor area divided into two parts; on the right we have cushioned seats and on the left side are the standard chairs and tables. They have a separate area which acts as a party hall (Awesome!) and it&apos;s enormous, being able to accommodate a sizeable number of guests. The best part is that the hall and the dining area are properly bifurcated hence there are no perturbations. Another thing that caught our eye was the black and white colour scheme and it was evident everywhere from the flooring to the crockery giving the place a cutting edge! What took us by surprise was the live kitchen. Yes! Every morsel we had was baked/cooked right in front of us, fresh and piping hot! Beside the live kitchen lay the drinks counter and we were mighty impressed with the swiftness of the staff in serving our drinks! This dish was a treat to our eyes and senses. 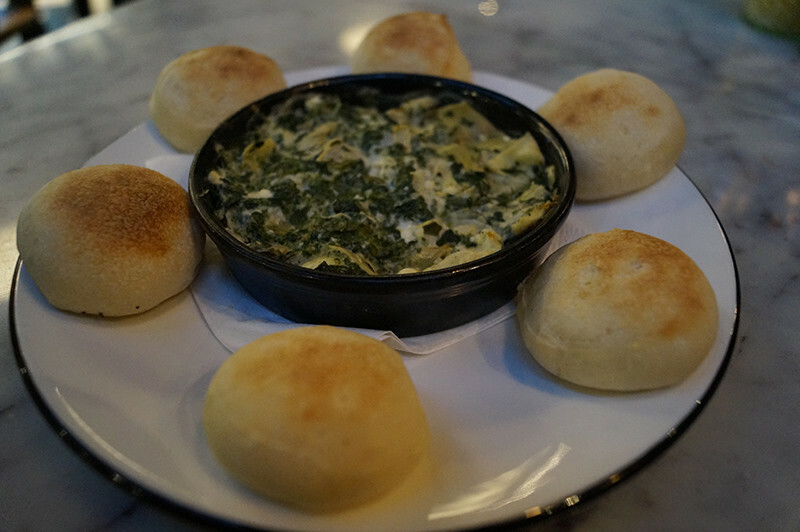 Fresh dough balls are baked and are served with Tuffo. The Tuffo is prepared by pairing spinach, artichokes with a hint of chili oil mixed with fresh cream. The apt way to have them is by cutting the balls partially from the center and filling them with tuffo before devouring as it’s the taste of the tuffo which makes all the difference. It had a perfect blend of salt and pepper and the level of spiciness was on point! Just a precaution, this dish is spicy! Succulent chicken wings are marinated in a hot spice mix, garlic and a soft Italian cream cheese - Emilgrana. The chicken wings are then tossed in BBQ sauce and served with their home made mustard dip and voila! The chicken was superbly tender. The marination was surprisingly amazing as the oomph of the spices lingered. 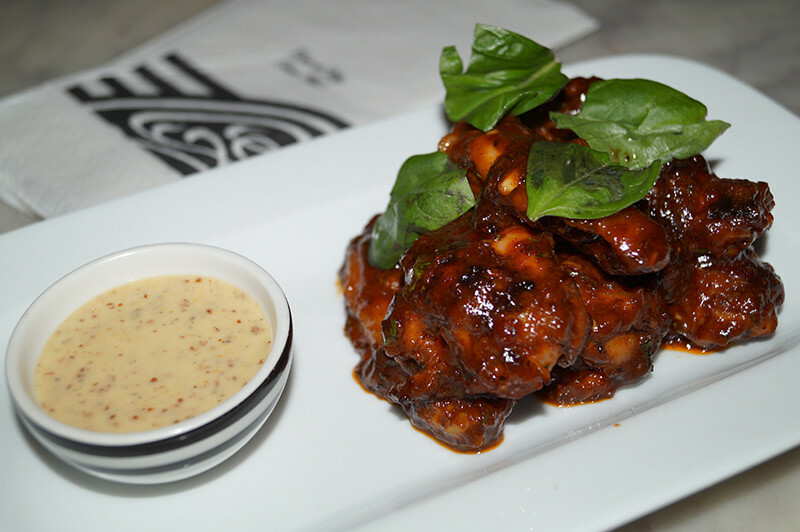 We won&apos;t shy away from claiming that these were among the best chicken wings we ever had! 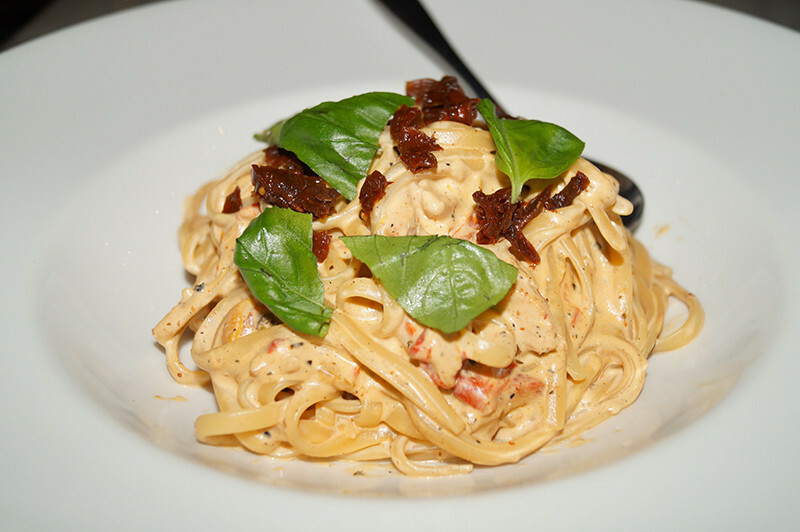 The linguine was tossed in Cajun sauce with roasted peppers and served with pickled dried tomatoes - absolutely delicious! It had a distinctive flavour and was perfectly balanced. There can be the hazard and risk of Linguine becoming too overcooked if not done right but the chef cooked it to perfection! The first look of the “rectangle” shaped pizza left us mesmerized. The base was thin and had a perfect crunch to it and was as cheesy as we&apos;d like it to be! What astounded us was the varied toppings from spicy jalapenos, hot red chili, to chargrilled vegetables and black olives paired with mozzarella, roasted mix peppers and dressed in basil pesto *phew!*. We loved it. Obviously bad for all the right reasons! 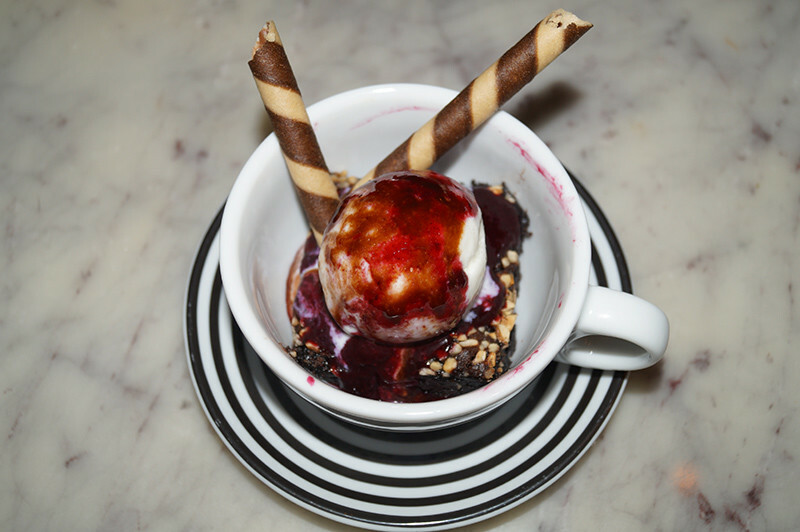 It was basically a warm bar of nutty brownie, topped with a hint of raspberry sauce & chocolate sauce, served with a dollop of vanilla bean gelato. The manner it was served was mesmerising too! The brownie itself was fudge like with a very dense and moist texture to it. The combination of sauces along with the brownie and the ice cream was perfection at its best! We came to know that the next ordered item was the most sought after drink at this outlet. 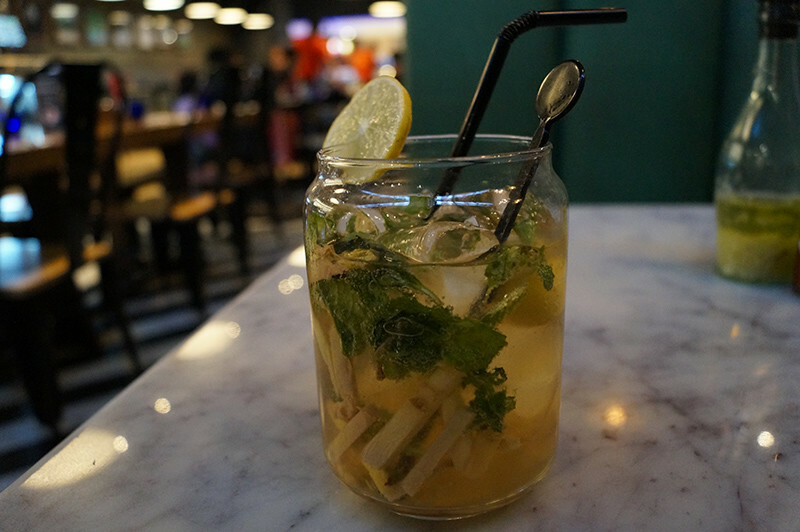 Also termed as “People’s Favorite”, this mocktail was a blend of fresh ginger, mint, green lime and Ginger Ale. One can actually spot the ingredients floating in the drink. The essence of the drink comes from the fresh minced ginger and crushed mint leaves. It was every bit refreshing and invigorating! 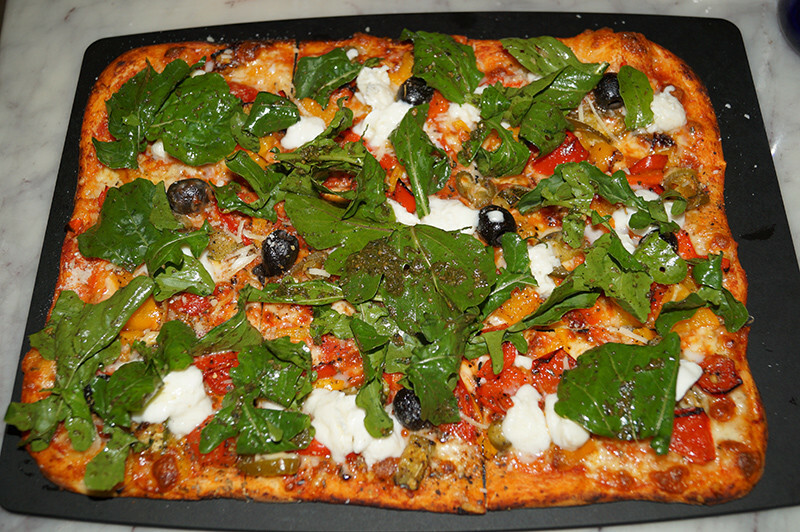 Comprehensively, Pizza Express is a complete package. Scrumptious food, decent on the pocket with a captivating environment, regaling all genres of souls with their friendly staff - we can&apos;t wait to be back for more!